Wiz Khalifa has told critics to ‘chill’ after he was criticised for letting his son take the bus to school. A lot of people seem to have a problem with the fact Khalifa is ‘rich’, and therefore could afford to take his son to school by other means. 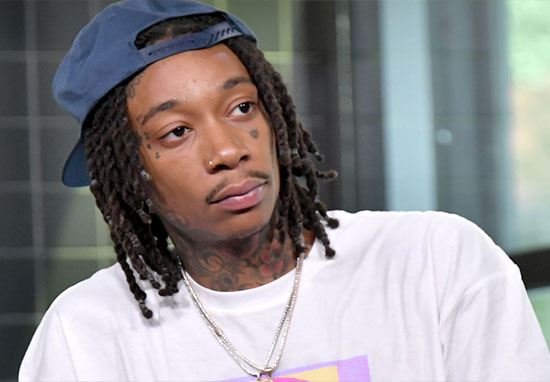 However, some of Wiz’s followers, weren’t happy about Sebastian taking the bus, and thought Khalifa should be taking him privately or otherwise. Many of Khalifa’s Instagram followers were also quick to respond, defending the rapper for his decision. Mommy and her Pumpkin ? Khalifa shares custody of his son, Sebastian, with the boy’s mother, Amber Rose. The pair dated from 2011 to 2014, according to MailOnline. In a tribute with Bang Showbiz, Rose spoke about her ambitions for her son, and how she wants to be a good role model for him. I want my son to see me still do amazing things, and grow up and be like, ‘Man, my mom was having a good time. She took care of me, she got up for school.’ I just believe that moms can do it all. Looks to me like Wiz and Amber are doing a good job so far.